A Wrexham & Shropshire Railways interlude in the Oxfordshire countryside. 67010 does the pushing on the rear, whilst 83205 leads the 1J83 16:30 Marylebone to Wrexham service on 23 April 2010. 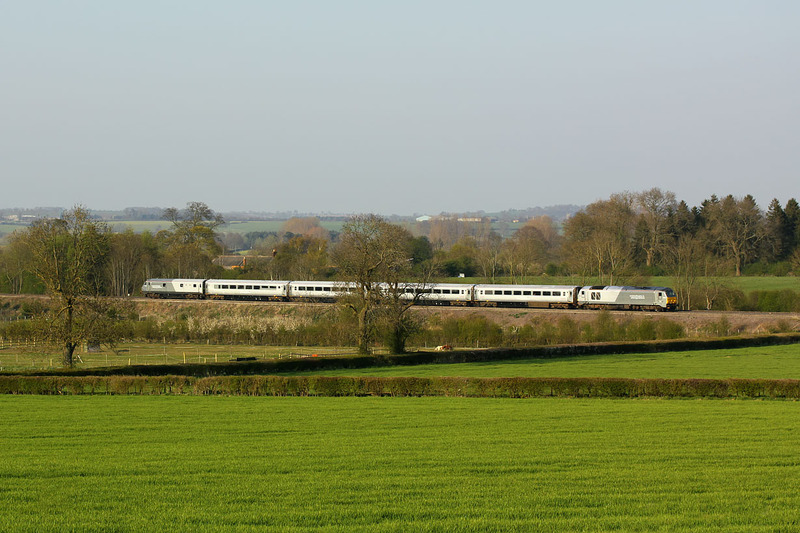 The train is pictured here passing Great Bourton and heading towards Cropredy.